An ISO image file is the backup of a DVD movie that contain all the VOB files on a DVD. Have some ISO files and want to play them on your new iPad Air 2? Is that at all possible? According to our multiple testing, we found iPad Air 2 doesn’t know how to play DVDs or BDs whether in ISO or any other format. It is a streaming device and these disc formats do not stream. To get ISO files to iPad Air 2, what you need to do is to rip ISO into a format the iPad Air 2 can play. To accomplish the task, what you need is an intuitive tool that can convert DVD ISO to iPad Air 2 friendly MP4, MOV, M4V videos. Haven’t got a clue? 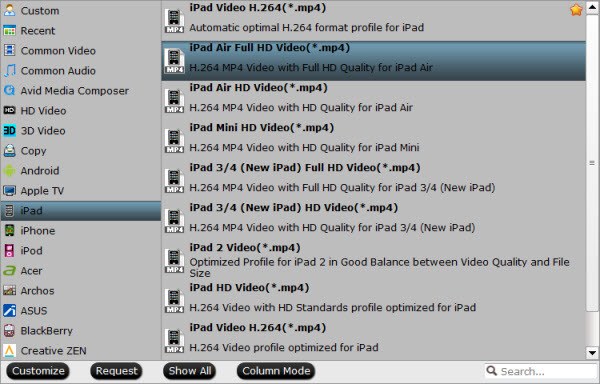 Here Pavtube ISO Converter is highly recommended to help you convert DVD ISO to iPad Air 2 with zero quality loss. 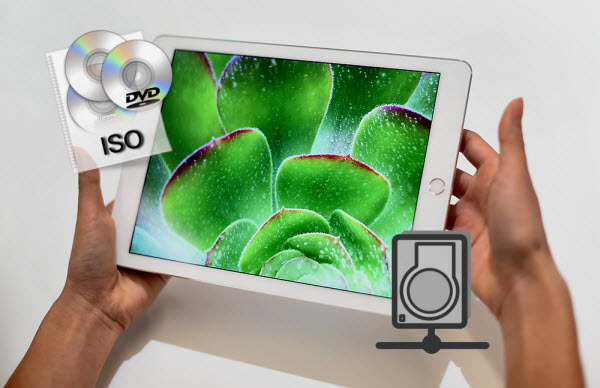 Besides ripping ISO files to iPad Air 2 compatible format, it can also convert ISO/DVD/IFO to almost all regular video formats, including AVI, MOV, M4V, WMV, MPG, 3GP, FLV, F4V, etc. So that you can stream and play ISO videos on iPad Air 2 without any limitations! Read the Top 5 Blu-ray Ripper for iPad Air. What’s more, this program comes with a built-in video editor that allows you to edit your movie files by trimming, cropping, adjusting video effects, etc. If you are using a Mac, you can go to Pavtube BDMagic for Mac. Now try the program and check out the guide below on how to convert ISO image files to iPad Air 2 for streaming on your NAS step by step. Run the ISO to iPad Converter program and click DVD disc button to add the ISO files. As you can see, you can also load DVD Folders and IFO files to rip. Click on “Format” box, a list will appear, you can easily find the “iPad” category, to enjoy ISO files on iPad Air 2 with 1080p image quality, you are suggested to choose “iPad > iPad Air Full HD Video(*.mp4)” format for output. Tips: If you’d prefer higher quality, click on “Settings” and set video bitrate to 2000kbps or above, this will bring better image quality and also bigger file size. Start the conversion by clicking on the “Convert” button on the interface of this iPad Air ISO converter. After it completes, click the “Open” button on program interface to locate the created MP4 file, and transfer the converted file to your new iPad Air 2 with iTunes.